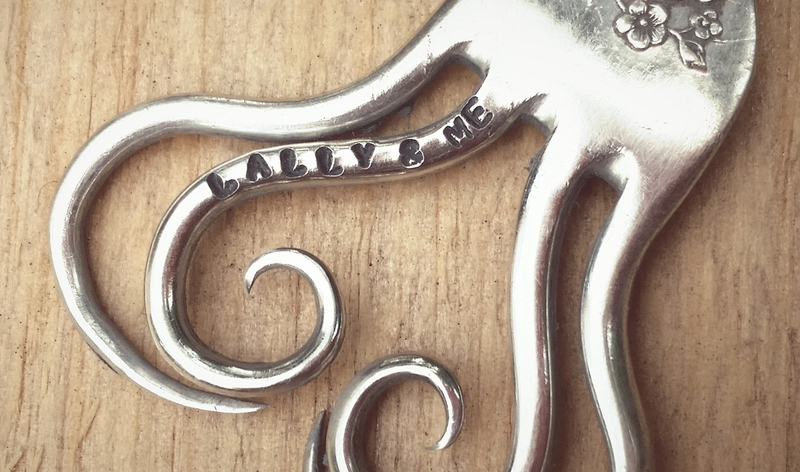 We are Mikey and Lally, and we’re a husband and wife team who work together creating an eclectic collection of recycled, repurposed jewellery and art. 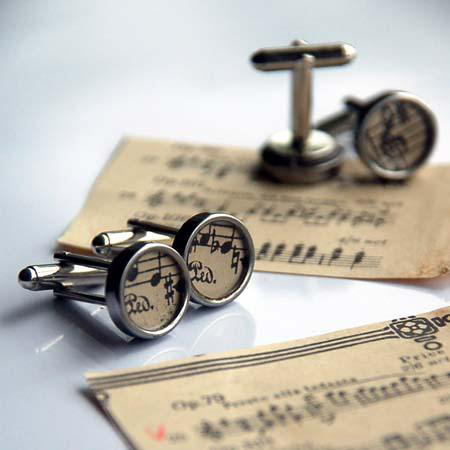 We work with everyday items that range from old typewriters and vintage buttons to sheet music and watch mechanisms. 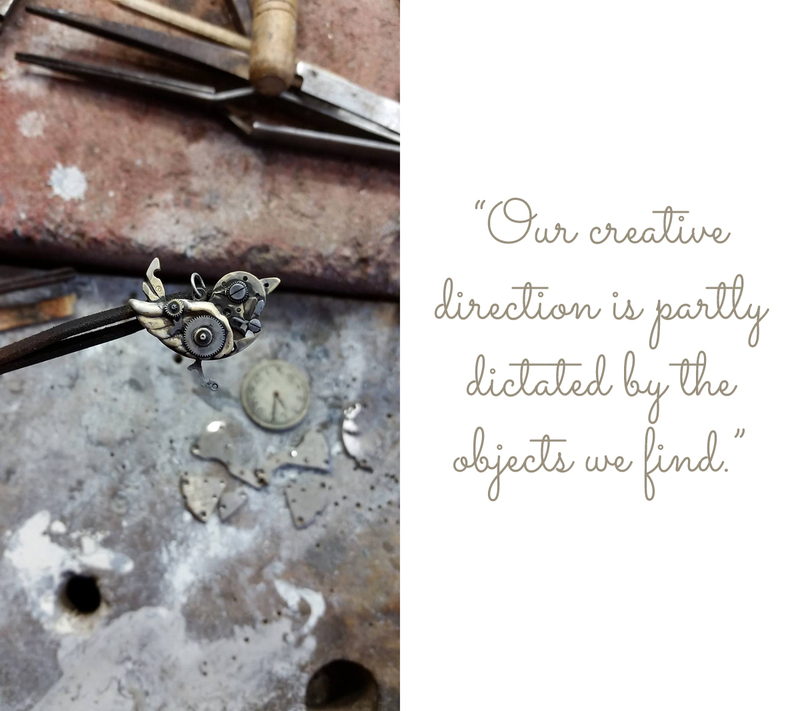 Our creations are constantly evolving and our creative direction is partly dictated by the objects we find. 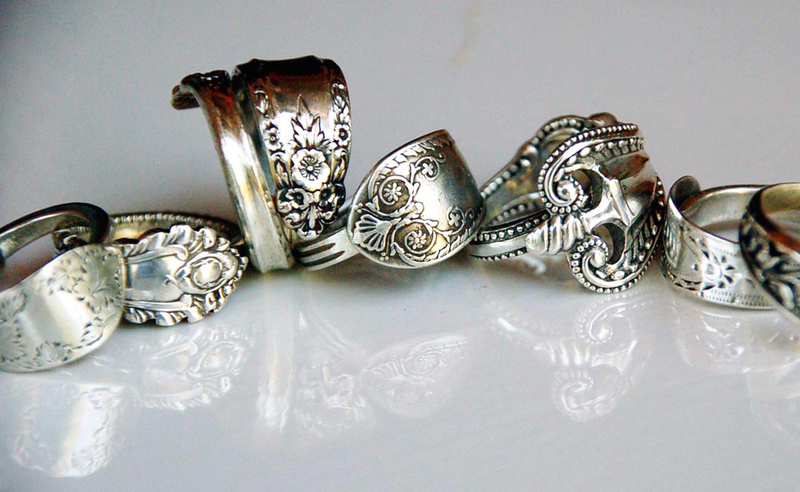 As a result, each piece is by its very nature, bespoke and unique. Mikey and I are kindred spirits and have been together since we met working for Greenpeace in Sydney in 2003. I am originally from the UK and I was only in Australia on a one year working visa. When it expired, Mikey and I went travelling and settled in London, England where we both worked on different stalls in the Apple Market in Covent Garden. 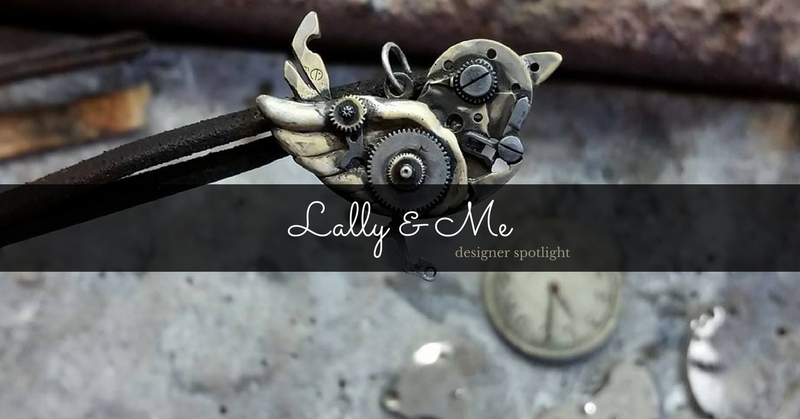 Being surrounded by amazing entrepreneurial creative businesses gave us the courage and confidence to follow our own creative path and it was there that our own creative story and ‘Lally & Me’ began. 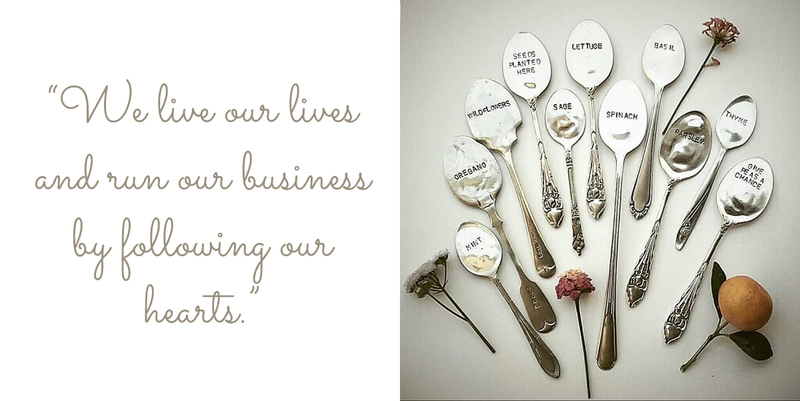 We live our lives and run our business by following our hearts. We are inspired by the beauty and fragility of the world. Nature is our muse and birds, butterflies and dragonflies regularly feature in our creations. 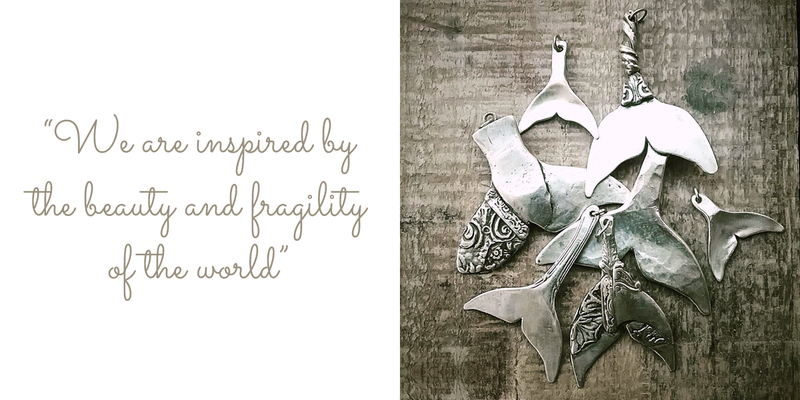 We are currently working on a range of ‘Whale Tail’ pendants which are inspired by our time working together for Greenpeace in Antarctica on the ‘Save the Whales’ campaign. Our eco-philosophy is based on the principle of adding as few new items to the world as possible without denying our love of beautiful things and an inherent need to express ourselves. 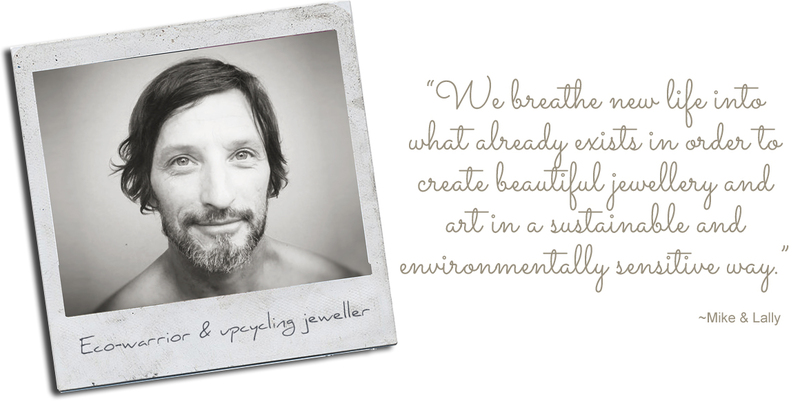 Instead of adding more things to the world, we breathe new life into what already exists in order to create beautiful jewellery and art in a sustainable and environmentally sensitive way. For the last year and a half, we have been hand-building our own ‘tiny-house’ in the hills outside of Mullumbimby, near Byron Bay. We have used recycled and salvaged materials and have recently moved in with our two children and a pile of adopted misfit animals. These include Paris the very old cat (she doesn’t kill any wildlife as we adopted her when she was 14!) 10 hens, 3 guinea pigs, 2 rabbits, 2 rats, 2 fish, an axolotl and a spotted python called Nala. While Mikey thinks we are probably at our ‘animal capacity’ I am secretly working on clearing some lantana to create a space/paddock for when a couple of rescue ponies come our way! Mikey’s workshop is in a funky old caravan that was our storage space while we were building. After years of working out of garages and garden sheds in our numerous rental homes, he is delighted and inspired to have his own ‘man-cave’ where he can make a permanent mess without fear of ever having to tidy it up! 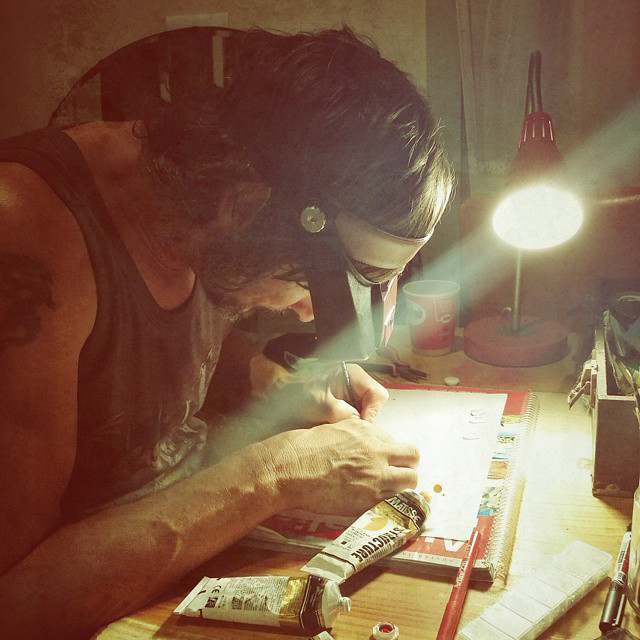 Creative spaces are sacred and I leave his well alone! My workspace changes with the wind. Today I worked from the kitchen table while Freya (6) made pipe-cleaner outfits for her toy animals and Finn (10) sat at my desk drawing and listening to ‘The Horse & His Boy’ Narnia audiobook. My current ‘official’ desk/workshop space is in our unfinished shower-room. Thankfully we have all fallen in love with the ‘temporary’ outside rainforest shower so it looks like I too may have found my very own workspace/office in the never-to-be shower! 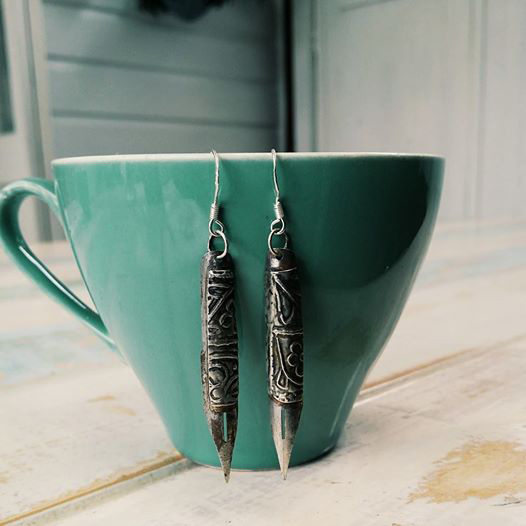 Besides running our own business, we also run the local artist’s collective, Made In Mullum in our local town, Mullumbimby. 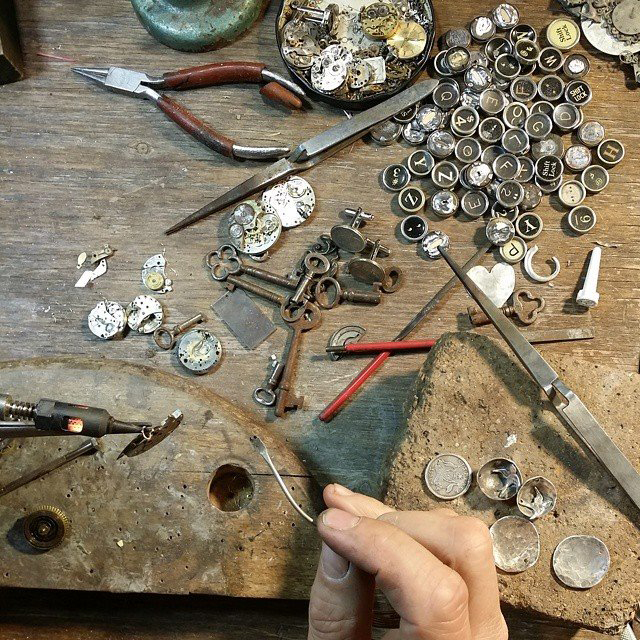 We work alongside 11 other amazing local artisans, makers and collectors. We all share the rent and time it takes to keep the shop open 7 days a week and are basically a mini local Made It! Made It creates a brilliant platform for our national creative community and shops like “Made In Mullum” work on a local level. Together, we can support the magic that is handmade and we can see the purchases we make helping to keep our communities alive. It is wonderful that it is an Australian company that is providing a platform for other Australian businesses to exist. Without spaces to sell like Made It, Mikey and I couldn’t do what we do. Thank you Team Made It & if you are ever in Mullumbimby be sure to pop in and say hello!